Working in the land of emotional behavior disorders is magical, frustrating, overwhelming, important, exhausting, tedious, and so worth it. This blog post is dedicated to 5 quotes that are hugely important in the field and will hopefully help you stay in the right mindset about our kids and what they need from us to be successful. 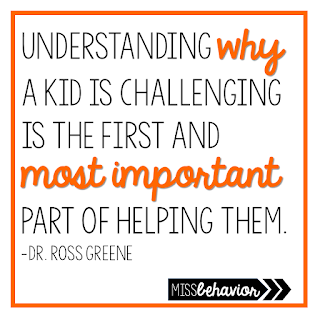 If you've been following me on any outlet of social media for any length of time, you not only know that I love the philosophies of Dr. Greene, but that this is my ultimate framework for working alongside our students exhibiting challenging behaviors. Kids do well IF THEY CAN, not kids do well if they want to. We must find out what our students lagging skills are, and teach our students the missing pieces to their puzzle. And you also probably know how much I respect Dr. Perry! 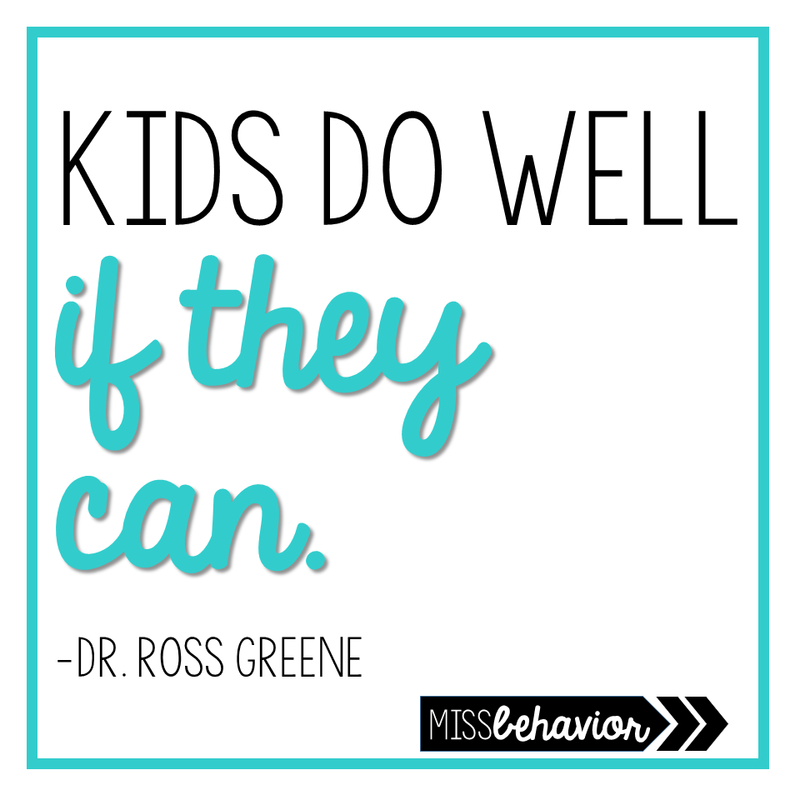 I love this quote because it reminds us that no matter what points kids earn, what level system you employ, or how many behavioral tickets you pass out - it's the relationships you form with students that change them and help build the foundation for behavior change. 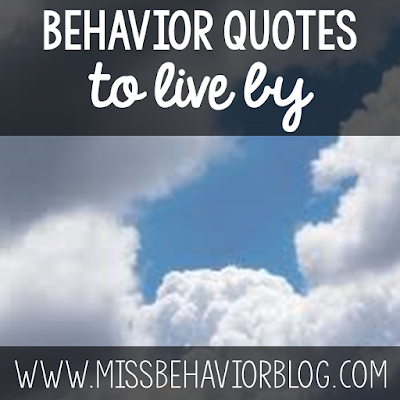 I find this quote so crucial because it reminds us of the importance of our students seeing us as real people (and knowing our likes, pet peeves, hobbies, family life, what we think is funny, our pets, etc! 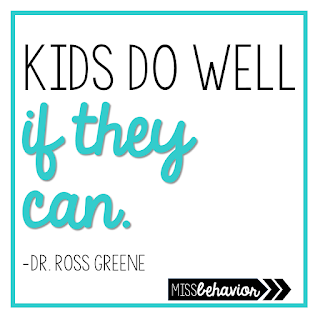 ), and us knowing our students for who they are, that helps us form important bonds that create the need for positive behavior, not the need for compliance! Grab the amazing book where this quote is from here. Would it be a set of quotes from me without at least TWO from Dr. Greene? 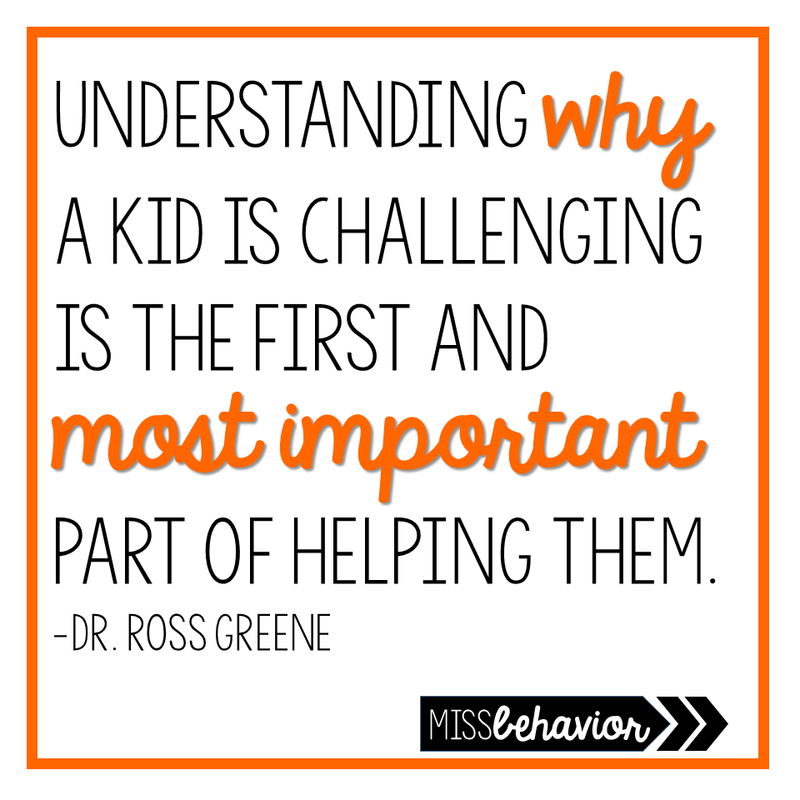 Let's be honest ;) This quote speaks to me so much because behavior science is all about the function and the missing skills. Why are they jumping off the desk? It's not because they want to annoy us, though it may feel that way! Have you read Dr. Greene's book Lost at School yet? Check it out here. 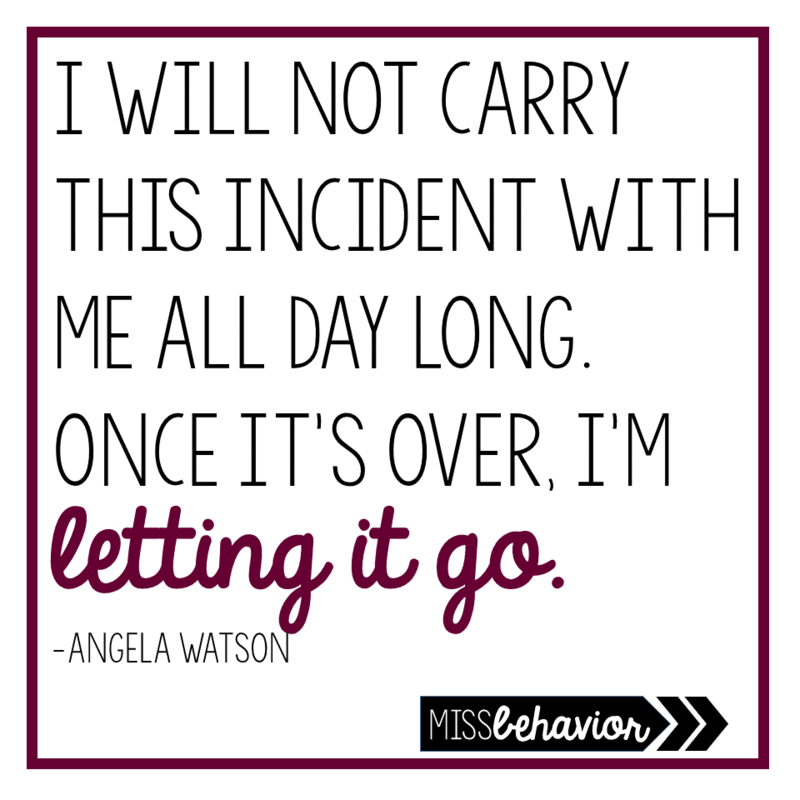 The last quote I want to share is from my favorite blogger and podcaster, Angela Watson. In our worlds and our everyday lives in the classroom, hard moments are going to happen. Kids are going to have very challenging moments. They will say unloving and disrespectful things to us. We will occasionally respond in really ugly ways to our students - because we are human. 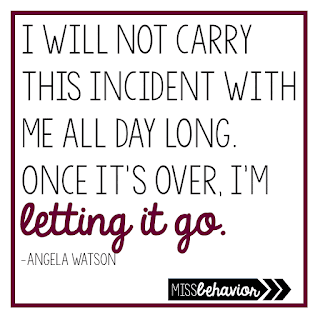 We will watch other adults reinforce our students behaviors and/or treat them in ways that are utterly disgusting. We will have really hard times. BUT - we need to exhibit that 'rational detachment' that is often so hard to do, so we can move on. We CAN let moments go. We can! Instead of focusing on the hard incidents, we can proactively work towards them not happening again to that same magnitude, then change our focus to the positive things that occurred during the day, and we can start fresh tomorrow. Our students and ourselves deserve a fresh, new day each morning.